When selecting data to back up, it is relatively easy to select all of one’s Excel spreadsheets and Word documents. These are typically stored in a folder on your machine. To select these for backup, you simply select the folder that they are stored in for ongoing backup. Any new and existing documents and spreadsheets are then backed up on an ongoing basis. Ideally, backup programs that back up your data from a local machine to a secure internet service only send through changes made over the line. So, for example, if you save a new Word document of 25 pages to a folder for backup, when your backup program runs it will encrypt and compress the entire document and send it over the internet to secure backup servers. If you edit the document again and simply add a paragraph, however, a great backup program will not back up the entire file over the internet again. Instead, it will know what has changed and only encrypt, compress and send the changes made to the backup servers. This ensures a fast backup using minimal bandwidth. This way, the amount of data transferred on a daily basis after the first backup only contains the changes to a file. As a result, your backup programs run as efficiently as possible and only send the required data over the internet. So, how does it work with accounting data? 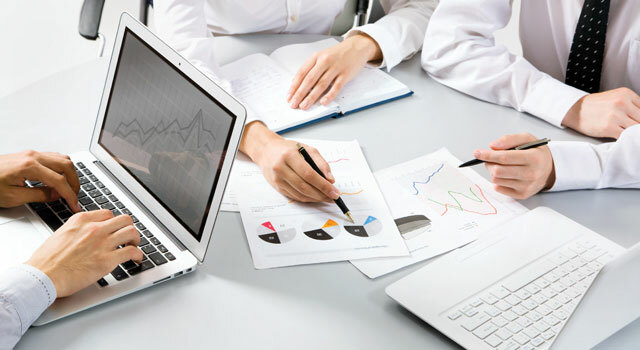 Accounting data is typically a set of inter-connected files – for example customer master files, invoice transaction files and customer payment files – or the accounting software uses database software such as Microsoft SQL Server or MySql or a similar database. In order to successfully back up accounting data, one must understand the underlying file structure of the accounting software. Obviously, this is fairly complicated for someone just wanting to back up their accounting data. Decent backup programs can automatically connect to the database software that stores the underlying accounting data to ensure that it is backed up successfully. In the case of accounting software where the data is in many different files, it is vital that they are all selected. If not, it can mean that when restoring, the accounting data restored is out of sync. Typically in these types of systems (e.g. Pastel Partner) all the data files reside in one folder and simply by selecting this folder the accounting data will be securely and safely backed up without any issues of out-of-sync data. Where the accounting software data is stored in a specific database, e.g. a Microsoft SQL server, it is vital that the backup programs selected have specific components to back up that specific database; we call it an SQL Plug-In. This component of the backup program then ensures that all data is backed up securely, incrementally and in total sync. One of our main focuses is backing up accounting and business data for small and medium businesses. We are partnered with Sage Pastel, Sage Payroll, Quickbooks and various other software vendors and ensure that their customers’ data is safe. We work on the basis that we will assist you in setting up your backup programs to run as efficiently and as effectively as possible. Our job is to ensure that your data is safe and secure, so that when disaster strikes you can recover your databases and continue working. So, in reality, you don’t need to understand the extreme detail of how your backup programs integrate with accounting software. Our customer support and technical teams will help you install and configure your backup.